The CIA Library subscribes to academic and trade eJournals, listed below by subject or view alphabetically by title. To search or browse the list of all journals with full-text available in our databases, use the A-Z Journal Finder. OFF-CAMPUS? Enter your CIA username and password at the prompt. 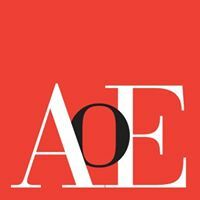 The American Journal of Enology and Viticulture (AJEV) is a peer reviewed journal dedicated to scientific research on winemaking and grapegrowing. Digital-only magazine about food and wine and the connection between taste and the place they come from; the logic of geography, methods, and culture that make good food good — that give character and the finest flavor. The underlying theme is connoisseurship, choosing, cooking, and enjoying food and drink. 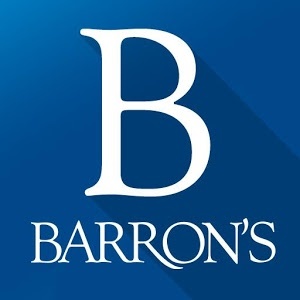 Financial news magazine providing in-depth analysis and commentary on the markets. Recognizing that contributions to the better understanding of these topics can come from any quarter, and that the best scholarship on these themes is often interdisciplinary in nature, it publishes scholarship from the humanities, social sciences, and professional fields, as well as scholarship that crosses disciplinary boundaries. It has published articles and reviews on a broad range of topics, including the internal ethics of business organizations, the ethics of specific business practices such as marketing, stakeholder relations, and international business, the role of business organizations in larger social, political and cultural frameworks, corporate social responsibility, sustainability and environmental ethics in business, and the ethical quality of market-based societies and relationships. 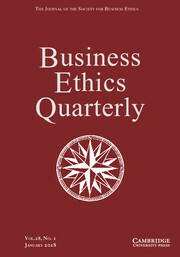 A publication of the Society for Business Ethics. The Cornell Hospitality Quarterly (CQ) is a peer reviewed, scholarly journal that is published quarterly in association with the Cornell University School of Hotel Administration and the Cornell College of Business. CQ aims to be a source of the best advances in theory and/or research relevant to management of the hospitality industry broadly defined to include all businesses or other organizations involved in the transport, accommodation, feeding, entertainment, and caretaking of voluntary travelers away from home. Papers and research notes on any topic, from any discipline and using any methodology are welcome provided they sufficiently advance our understanding of how to manage hospitality businesses and organizations. 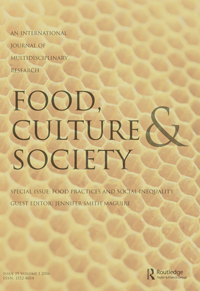 Food, Culture and Society: An International Journal of Multidisciplinary Research is an international peer-reviewed publication dedicated to exploring the complex relationships among food, culture, and society. 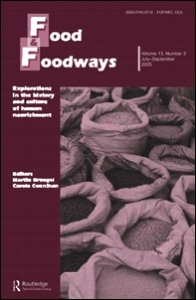 Food and Foodways is a peer reviewed, interdisciplinary, and international journal devoted to publishing original scholarly articles on the history and culture of human nourishment. By reflecting on the role food plays in human relations, this unique journal explores the powerful but often subtle ways in which food has shaped, and shapes, our lives socially, economically, politically, mentally, nutritionally, and morally. Because food is a pervasive social phenomenon, it cannot be approached by any one discipline. We encourage articles that engage dialogue, debate, and exchange across disciplines. Food and Foodways publishes work by anthropologists, biologists, economists, ethnobotanists, historians, literary critics, nutritionists, psychologists, sociologists, and others who use food as a lens of analysis. Food Policy is a peer reviewed multidisciplinary journal publishing original research and novel evidence on issues in the formulation, implementation, and evaluation of policies for the food sector in developing, transition, and advanced economies. The main focus is on the economic and social aspect of food policy, and we prioritize empirical studies informing international food policy debates. Gastronomica is a peer-reviewed, interdisciplinary, international journal publishing critical, translational studies on food. 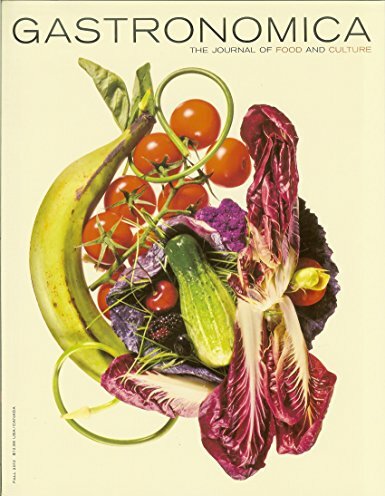 In the pages of Gastronomica, you will find examinations of historical trends and transformations in food and eating; analyses of the political, economic, and social dimensions of food production and consumption; research briefs on emerging issues in fields related to food research and innovation; and interviews with key figures in the world of food. 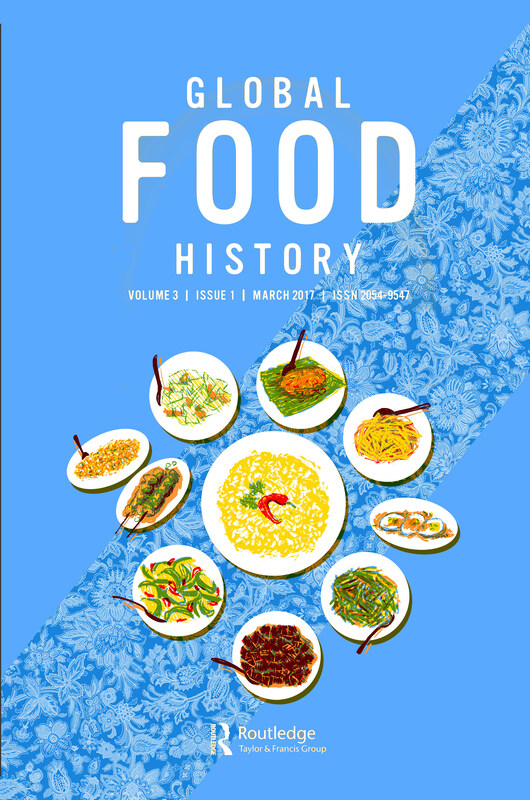 Global Food History is a peer-reviewed, academic journal with an international scope, presenting new research in food history. The journal covers any period from prehistory to the present and any geographical area, including transnational and world histories of food. In addition to original research, the journal includes articles on teaching food history, archival notes, translations, and book reviews. Global Food History aims to encourage a wider recognition of food as not only an important means for studying such traditional scholarly concerns as politics, class, gender, race, and ethnicity, but also an important field in its own right, exploring a vital element of the human experience. As history offers an ideal forum for conversations across the social sciences and humanities, the journal also invites submissions from scholars in allied disciplines who share historians’ concerns with change over time, causation, and periodization. The journal will be of interest to those engaged in the study of the cultural, social and economic history of food. The International Economic Review provides a forum for modern quantitative economics. 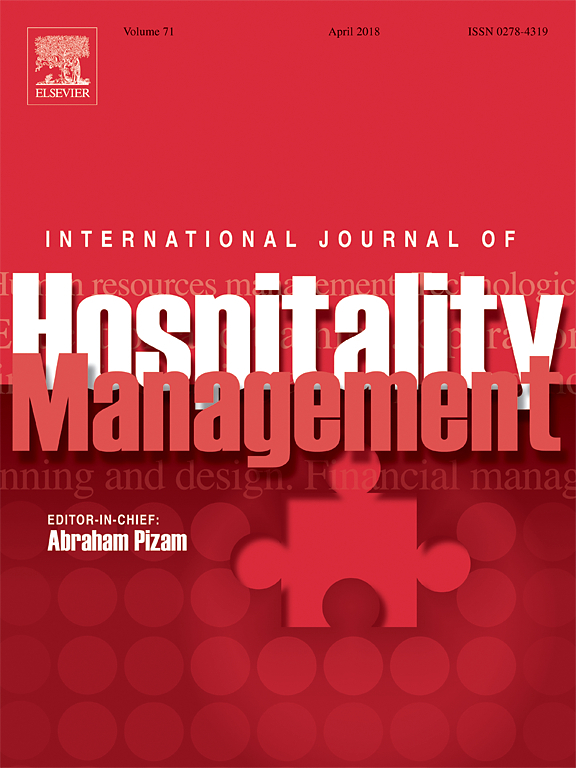 The International Journal of Hospitality Management discusses major trends and developments in a variety of disciplines as they apply to the hospitality industry. The range of topics includes: Human resources management; Consumer behaviour and marketing; Business forecasting and applied economics; Operational management; Strategic management; Financial management; Planning and design; Information technology and e-commerce; Training and development; Technological developments; National and international legislation. The peer reviewed journal also contains research papers, state-of-the-art reviews and analyses of business practice within the industry. 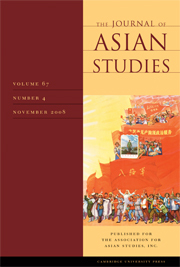 The Journal of Asian Studies (JAS), a peer reviewed quarterly journal, publishes empirical and multidisciplinary work on Asia, spanning the arts, history, literature, the social sciences, and cultural studies. JAS presents in-depth scholarship on Asia's past and present, book reviews, and state-of-the-field essays on established and emerging topics. With coverage reaching from South and Southeast Asia to China, Inner Asia, and Northeast Asia, JAS welcomes broad comparative and transnational studies as well as essays emanating from fine-grained historical, cultural, political, and literary research. 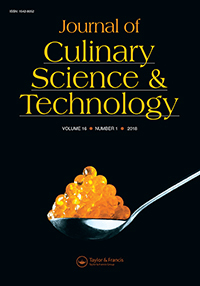 The Journal of Culinary Science & Technology aims to communicate the vital issues, latest developments, and thinking on the science and technology behind meal planning, preparation, processing, and service for a global consuming public. These issues relate to food management in a variety of settings that include culinary-related operations, food production, food product development, restaurant management and other foodservice ventures. It is the Journal's intention to encourage an interchange among culinary professionals, food scientists and technologists, research chefs, foodservice managers, educators and researchers. The research articles are peer reviewed; the Journal also contains sections for research notes, book reviews, and new developments. 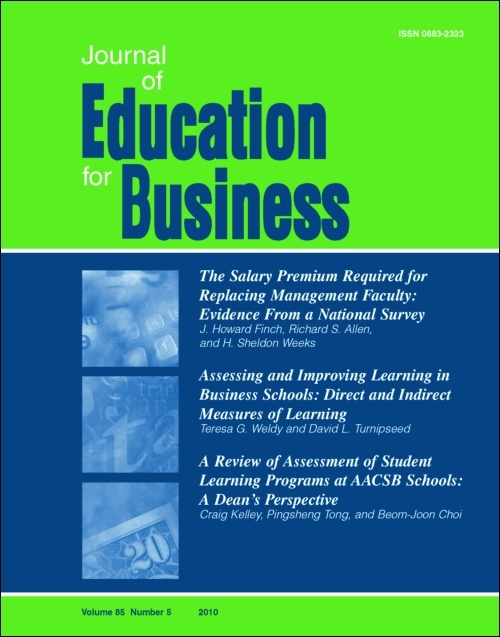 The Journal of Education for Business is a peer-reviewed journal that features basic and applied research-based articles in entrepreneurship, accounting, communications, economics, finance, information systems, management, marketing, and other business disciplines. Along with the focus on reporting research within traditional business subjects, an additional expanded area of interest is publishing articles within the discipline of entrepreneurship. Articles report successful innovations in teaching and curriculum development at the college and postgraduate levels. The Journal of Food Products Marketing serves as a forum for the exchange and dissemination of food marketing knowledge and experiences. Research articles undergo peer review. 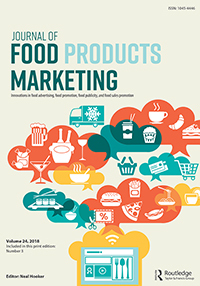 Designed to study the characteristics and outcomes of food marketing systems around the world, the journal critically examines contemporary food marketing challenges and solutions. Scholars, practitioners, and public policymakers share practical and insightful information-both descriptive and analytical-on food marketing theory and practice. The journal is valuable to academicians, researchers, professionals, and consultants in the food marketing, economics, business administration, law, consumer behavior, policy, food science, and nutrition fields. 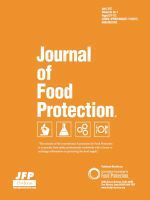 First published in 1937, the Journal of Food Protection is a peer reviewed monthly publication. Each issue contains scientific research and authoritative review articles reporting on a variety of topics in food science pertaining to food safety and quality. The journal is internationally recognized as the leading publication in the field of food microbiology. The Journal of Food Science is a peer-reviewed international publication for vital research and developments in food science. Toxicology and Chemical Food Safety. A publication of the Institute of Food Technologists (IFT), the professional society of food science and technology. The peer-reviewed journal features articles from international experts in various disciplines, such as management, marketing, finance, law, food technology, nutrition, psychology, information systems, anthropology, human resources, and more. Content includes industry-specific articles, best practices for foodservice management professionals, reviews of foodservice-related Internet resources, books, and software. The journal is a forum for discussing business research and encompasses all aspects of foodservice field: management and entrepreneurship, marketing, finance and accounting, information systems and technology, legal matters, franchising, nutrition, food habits and food safety, global issues and cultural studies. 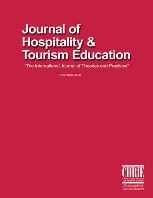 The Journal of Hospitality & Tourism Education (JHTE) is designed to facilitate scholarly interchange among hospitality and tourism educators, industry practitioners and educators from related disciplines. It aims to serve the needs of all levels of hospitality and tourism education through the presentation of issues and opinions pertinent to the field. JHTE is a peer reviewed, interdisciplinary quarterly journal of the International Council on Hotel, Restaurant, and Institutional Education (ICHRIE). The Journal of Hospitality & Tourism Research (JHTR) is an international scholarly research journal that publishes high-quality, peer reviewed articles that advance the knowledge base of the hospitality and tourism field. JHTR focuses on original research, both conceptual and empirical, that clearly contributes to the theoretical development of our field. 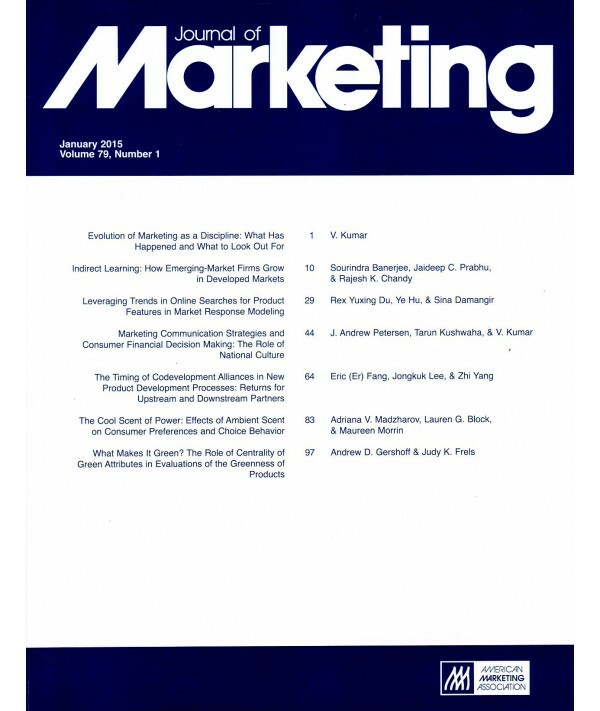 Journal of Marketing (JM), a bimonthly publication of the American Marketing Association (AMA) founded in 1936, is a broad-based, peer reviewed scholarly journal of the marketing discipline focusing on substantive issues in marketing and marketing management. Two AMA objectives: (1) to lead in the development, dissemination, and implementation of marketing concepts, practice, and information and (2) to probe and promote the use of marketing concepts by business, not-for-profit, and other institutions for the betterment of society.​ The editorial objectives of JM are (1) to advance the science and practice of marketing (to make a difference by adding to what we know about marketing phenomena and changing how we study and practice marketing) and (2) to serve as a bridge between the scholarly and the practical, each of which has a vital stake in what's happening on the other side. The Journal of Sensory Studies is an international, peer reviewed journal that publishes original research and review articles about human reactions to basic tastes on foods, beverages, wine, liquor/beer, the environment, medications, and other human exposures in everyday life with information on experimental design methods and statistical analysis of data on human reactions. The journal also publishes expository and tutorial papers focusing on observational and experimental studies that lead to development and application of sensory and consumer (including behavior) methods to products such as food and beverage, medical, agricultural, biological, pharmaceutical, cosmetics, or other materials; information such as marketing and consumer information; or improvement of services based on sensory methods. A publication of The Society of Sensory Professionals (SSP), a non-profit organization devoted to developing and promoting the field of sensory science and evaluation, including consumer research, and the role/work of sensory professionals, for the purpose of sharing knowledge, exchanging ideas, mentoring and educating its members. 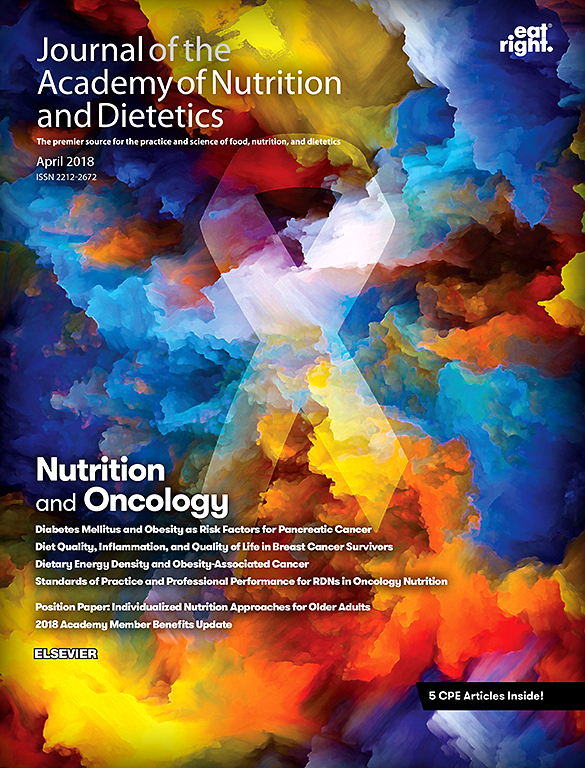 The Journal of the Academy of Nutrition and Dietetics is a monthly, peer-reviewed journal for the practice and science of food, nutrition, and dietetics. The journal presents original articles prepared by scholars and practitioners and is the most widely read professional publication in the field. The Journal focuses on advancing professional knowledge across the range of research and practice issues such as: nutritional science, medical nutrition therapy, public health nutrition, food science and biotechnology, foodservice systems, leadership and management, and dietetics education. Organizational Dynamics' domain is primarily organizational behavior and development and secondarily, HRM and strategic management. The objective is to link leading-edge thought and research with management practice. 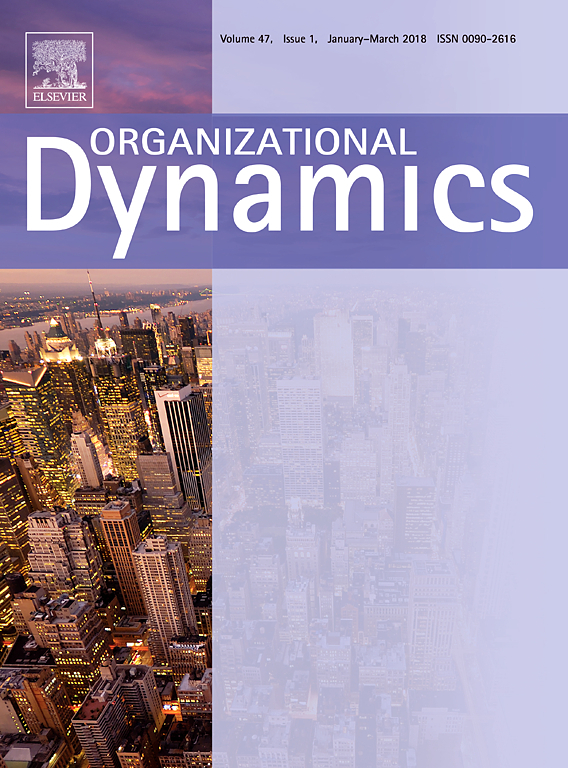 Organizational Dynamics publishes articles that embody both theoretical and practical content, showing how research findings can help deal more effectively with the dynamics of organizational life. 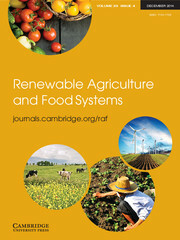 Renewable Agriculture and Food Systems is a multi-disciplinary journal which focuses on the science that underpins economically, environmentally, and socially sustainable approaches to agriculture and food production. The journal publishes original research and review articles on the economic, ecological, and environmental impacts of agriculture; the effective use of renewable resources and biodiversity in agro-ecosystems; and the technological and sociological implications of sustainable food systems. 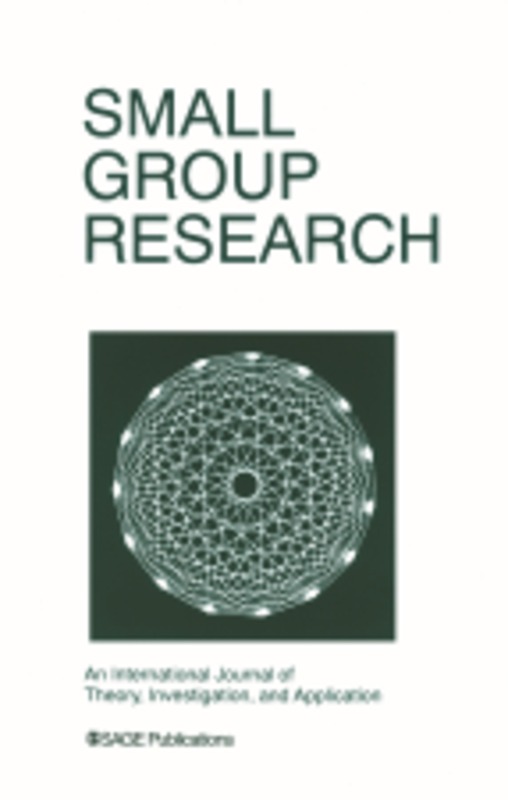 Small Group Research: An International Journal of Theory, Investigation and Application offers research, theory and empirically supported applications for the systematic study of small groups and small group phenomena. Taking an interdisciplinary approach, the journal addresses and connects three vital areas of study: The psychology of small groups, Communication within small groups, Organizational behavior of small groups. 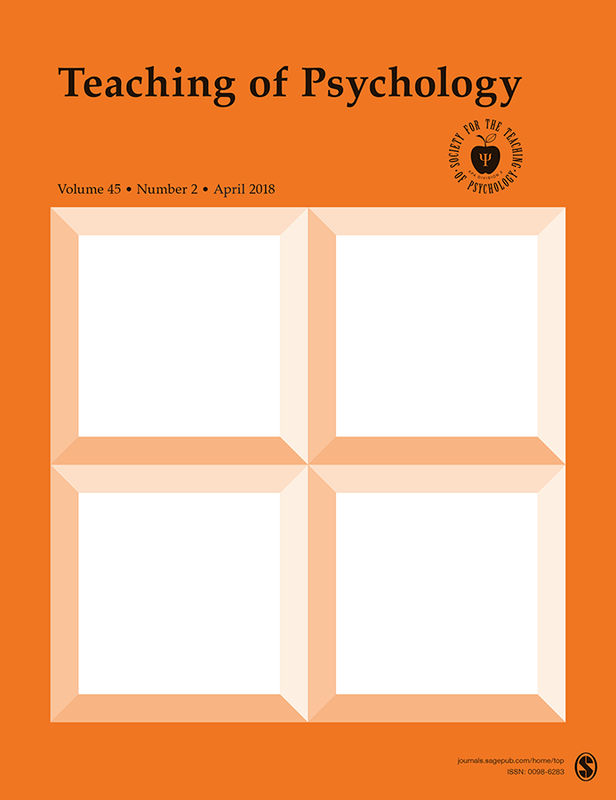 Teaching of Psychology offers creative and hands-on articles that help you use a variety of resources to enhance student learning. Coverage includes research on teaching and learning; studies of teacher characteristics and student learning; reviews for class use; student, course, or teacher assessments; discussions of professional challenges; critical thinking exercises, curriculum designs, demonstrations and laboratory projects; and news. Articles also provide helpful suggestions about how to teach topics, such as research methods, introductory course material, and capstone ideas.